Universal Jobmatch | Ipswich Unemployed Action. Find a Job to Create Bureaucratic Nightmare. The Government has announced that Universal Jobmatch will be replaced by the Find a Job service on 14 May 2018. Your existing Universal Jobmatch account will not move to the new service. Save any information you want to keep, like CVs, cover letters and application history by 17 June 2018. Details of any applicants who applied and the reasons they were rejected (applicable to new sponsor licence applications only). Basic account information will be migrated to the new service. An email with further information about this will be sent to users. New employer registrations on Universal Jobmatch will close on 10 May 2018 and open on Find a Job on 14 May 2018. Findajobs programme and operation can and will if applicable share data that could be personal and this transaction may or may not legally require a person lawful consent. Also it has the capability to monitor and record all transactions that take place off its site and can detail dates,times and keystrokes,etc. 1: Are they asking for lawful consent to future third parties that as yet they have not entered into an arrangement with or any unknown thirdparties they may do in the future. By granting lawful consent, your be be giving findajob lawful permission the moment you register to give some or all of your personal data as per applicable with need and applicable laws (via those domains) that wont require any further announcement to you asking for permission. 2: What cookies and especially supercookies they are or intend to use. Whether or not they again are also trying to secure lawful consent at registration with a view should they add further unannounced cookies/supercookies in the future that they may do so without seeking any further lawful consent. Still somebody seems to be happy. Universal Credit Behavioural Change Scandal to Follow Windrush. Claimants forced into Experiment in Behavioural Change. Based on the Windrush and Universal Credit scandals one might think that the government didn’t know what it was doing. Many will no doubt be impressed by the sheer scale of the misery inflicted by Windrush, brought to people’s attention, let it be noted, first through a drip drip of petitions on FB, then newspaper articles, and last, but not least by the efforts of Diane Abbott and David Lamey. The more you read about Universal Credit the angrier you get. Let’s look at aspects this programme of “behavioural change”. One, dealt with in the previous post, is the “on-line Job search”. 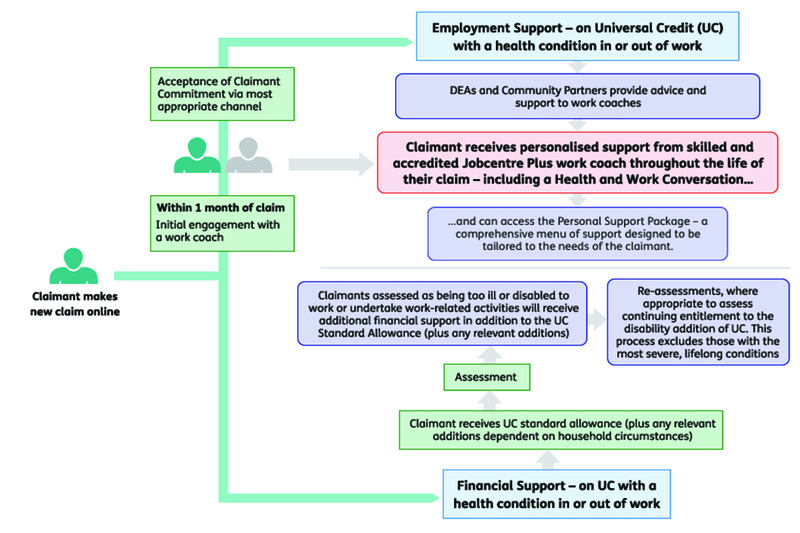 Given that many residents’ main source of income will be via the UC method, the challenge for claimants, Government and all stakeholder is how to get people to engage digitally while avoiding significant delays in UC applications. Our experience tells us that the first obstacle is getting people to actually attend a digital workshop. With lives, full of stress and concern, getting a resident to attend a workshop – which might be wrongly perceived as another way to criticise perceived inadequacies – can be a difficult sell. We utilise a variety of methods to combat this, from guerrilla marketing to ‘nudge’ behavioural change theory, to positively encourage this attendance. We talk to residents in ways that are clear and jargon-free, no blame is ever ascribed to their lack of knowledge and we use the communication channels that they use, such as text messaging or mobile phone calls. We also incentivise people, whether that’s free prizes from local businesses to using tempting food treats. Sounds simple, but it works. These marketing and engagement devices encourage people to attend events, but the content of the workshop is, of course, crucial to maintain attendance. One area we’ve found particularly powerful is a successful replica UC portal for practicing and getting used to the online form – www.we-are-digital.co.uk/help. This warms residents to the structure, questions and information they need for when they fill in the actual form, answering many of their concerns ahead of time – a move we’d like to see replicated nationwide. In addition, it is important to consider that, once claimants start filling in their forms, they will still need support and reassurance. For housing associations, we recommend promoting the toll-free UC telephone support claims line – which residents can call to get support over the phone to complete a real claim, regardless of which HA they are from. For the most difficult cases, in-home support is also an option, with a tutor taking them through a real claim, one-to-one. Ultimately, these methods will help to prevent sanctions and decrease arrears. With a delay in UC rollout politically unpalatable, the emphasis is on increasing claimants’ skills base, and quickly. This urgency of this expediency is most pronounced on housing association tenants. Isn’t it wonderful being part of a vast social experiment in “behavioural change”? ‘Find a Job’ service to Replace Universal Job Match for Claimants. Universal Jobmatch will be replaced by the Find a job service on 14 May 2018. Important: If you have an existing Universal Jobmatch account it will not move to the new service. Save any information you want to keep, like your CV, cover letters and application history by 17 June 2018. One of the UK’s largest recruitment websites Universal Jobmatch is to be re-named ‘Find a Job’. With the employment rate the highest it has been since records began, I want those still looking for work around the country to have the very best opportunity to find a role that suits their needs. Our new Find a Job service offers one of the largest free job search functions out there – and with a near record number of vacancies, there are plenty to choose from. Our Newshounds (JS, j joop, ken, and others) have been on the trail of this new scam. So it’s true then. But is Find-a-Job going to be mandatory and an integral part of Universal Credit? Universal Jobmatch was originally built as a means to police the job seeking activity of Universal Credit claimants, allowing anybody, anywhere, with the right permission, to scrutinise the activities of every claimant on UJM online hence the logging of applications and compromising questions like “Or, tell us why you don’t wish to apply for this job” which appears on the advert for every vacancy on UJM. Such things are obvious tripwires created expressly to catch people out and get them sanctioned for not applying for some vacancy, or other, without good reason. My bet is that the “Find a job” site will be more of the same, just tarted up with a new front end, but Universal Jobmatch at its core and that most of us will carry on going straight to Indeed.co.uk to look for work unless forced to do otherwise. Besides being ugly and unfriendly for users good employers stopped advertising on UJM years ago. Why should Find-a-Job be any different? Universal Jobmatch was supposed to allow Work Coaches (or anybody else) to “communicate” with “jobseekers” and blitz them with idiotic and unsuitable jobs to apply for. 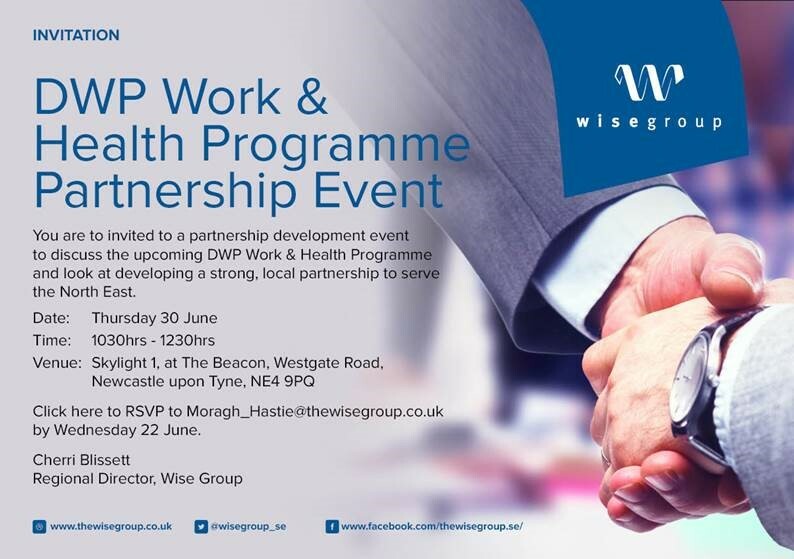 I denied the DWP access and haven’t been bothered while a friend of mine allowed them unrestricted access and got sent shitloads of low-paid part-time vacancies, miles away from where he lived, e.g., replenishment staff (shelf stackers) with a supermarket, working five days a week, from 8.00pm to 9.00pm, for £7.50 ph, with a two hour commute and had to explain why he didn’t apply for them. Here’s the reason: Being on Universal Credit meant that 63% of the £7.50 earned per day was deducted from his benefits, leaving him with £2.78; as his bus fare was £4.60 return he would have been £1.83 out of pocket and that was before his Council Tax contribution got tweaked upwards! You’ve hit the nail on the head about the policing aspect of Universal Jobmatch. I’m guessing the Jobcentre will try and tell you creating an account will be mandatory. Has anyone put in an FOI request for the toolkit? I was talking to my Work Coach today and she said the Find-a-Job will be different and have a different logon using an email address and password, same as most other sites use. She didn’t know much else about it or how it will differ from or be similar to the vile Universal Jobmatch. I wonder if users will have the power to delete their accounts and data? With Universal Jobmatch you had to ask for your account to be deleted or stop using it and wait for it to expire and auto-delete after eighteen months I think it was. She also said that in my area “we” would be switching over to the “full digital service” where you are supposed to report changes in your circumstances and such like be means of an online “Journal”. Universal Credit looks set to be a bigger scandal than the Windrush farrago. wow so the new find a job service is going to do what every job site does now anyway and provide links to apply for jobs on another web site. if ur not mandated to use it via a job seekers direction and create a account why even bother to use it in the first place lol. Adzuna will laughing all the way to the bank, yet another service that is not needed and more tax payers money down the drain. I think you are correct superted.Universal Jobmatch was a tired site often with multiple ad’s placed by the same company.I found the amount of times it said I couldn’t apply because I had applied before was enormous at least more looked to have been viewed lately. None of this is going to overcome barriers to work such as health age and lack of experience even down to own transport.Being out of work for long periods is extreamly common these days also.Agencies want people who are at immediate call,jump straight into a car to work odd hours.It amounts to caught in the benefits trap. What kind of jobs will they circulate? Developer Evangelist, Chef Ninja, Data Wrangler, Play Planner. The Deadliest Jobs in The UK – 2018. Benefit Cosmetics UK – Brow Expert Stunning lashes and beautiful brows aren’t too much to ask for, are they? We don’t think so. Which is why, alongside our best-selling products, we have Brow Bar Experts like you making our customers look amazing. From The …JOBSWORTH: £18,328 P.A.? What is the company behind the pretentious name? Adzuna is a search engine for job advertisements. The company operates in 16 countries worldwide and the UK website aggregates job, property and car ads from several hundred sources. Adzuna was named by Startups.co.uk as one of the top 20 UK startups of 2011, and by V3 Magazine as one of the top ten up-and-coming UK technology startups of 2013. In the same year it was also listed by Wired as one of the top 10 startups in London and in 2015 was named to UK government agency Tech City’s ‘Future Fifty’ high growth startups accelerator. In January 2014, Fairfax Media announced a joint venture with Adzuna in Australia to challenge the job board market leader there, SEEK.In September 2017, Adzuna announced the relaunch of improved ‘ValueMyCV’. Ipswich Unemployed Action: Debate and Real News, not Alternative Facts. Facts, Opinion, and Debate, Not ‘Alternative Facts’. Ipswich Unemployed Action’s policy on news is simple. We are first and foremost the creation of our contributors, those who post in the Comments, and who provide us with the leads to follow up on the things that matter to the unemployed, and those on benefits. So, for example, there is an important discussion on the use of personal data for Universal Credit, and the potential for Job Coaches (does anybody seriously use this term any more, it’s beginning to sound like a Butlin’s Redcoat…) to put pressure on claimants, to misuse their power, and, at worst, bully people. There is also debate about the “My Values” questionnaire, and other issues of private information. 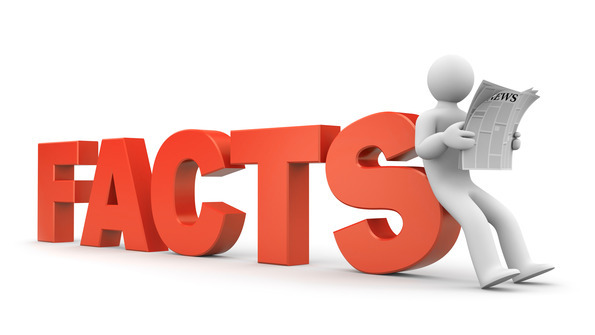 When we come to hard facts we rely on our contributors to get to what we can be sure of. Our stories often begin with people writing things, and always end with people free to express what they think on them. Behind this we use reliable sources, such as Welfare Weekly, The Mirror, the Independent, to cite only three, as well as a variety of campaigning groups, like the Trussell Trust, the CAB, and others, and, last but far from least Parliamentary committees, like the PAC, and the Work and Pensions Committee for serious stories about the hard facts of what benefit rules are. Oh, and sometimes the DWP – if more rarely Ministers – are forced to make clear statements as well. What we do not do is repeat rumours, ‘alternative facts’ and the kind of self-serving stuff that has made SKWAWKBOX a hissing and a by-word for growing numbers on the radical left, and amongst campaigners more broadly. Things are bad enough already; they do not need exaggerating. People in Blackpool are “struggling” with Universal Credit a charity has warned, even though the full roll-out of the benefit has not hit the resort. The Citizens’ Advice Bureau is asking the Government to look again at the benefit, designed to top up low paid workers’ income and help the unemployed after finding people waiting 10 to 12 weeks before their first payment. It wants the roll-out paused until the problems can be ironed out. By 2022, seven million families in the UK will get Universal Credit, which is replacing six existing means-tested benefits, and in October 50 new areas are set to be using the system. Tracy Hopkins, chief executive of the Blackpool CAB said for many people the benefit works, but many others are in serious trouble. he said: “We have not had the full roll-out here in Blackpool, just for young Aunemployed people, but we are seeing many people struggling and are very concerned indeed. “People are having to wait 10 weeks without money. It is too complex. “They have to claim on line, and many of the people claiming in Blackpool do not have access to computers at home. “People are telling us they are having to make 10 calls to the helpline. We hear about people waiting 30 minutes for help on the phone. “Also there is a seven day waiting period before they can start a claim. We want the Government to remove this to stop these unfair delays. “We are talking about vulnerable people too, with health problems and working people on low wages who need extra help with such things as child care.” She said the delays were counterproductive since people were in danger of being forced out of their jobs by not being able to afford to carry on or by risking the sack by taking time off to get Universal Credit sorted out. IMPORTANT UPDATE FROM THE SISTERS AND BROTHERS OF DPAC. The 2 year job rule for disabled people on Universal Credit is not true! In the last few days it has been widely reported by various bloggers that those disabled claimants claiming Universal Credit are subjected to finding a job within two years or face a 1 year sanction. This is utter fabrication and feeding many claimants fears which could potentially cause harm. So today I called Welfare Rights ,who called DWP while I remained on the phone, they denied that this information was correct and was downright alarmist and dangerous. That doesn’t mean I trust DWP and have submitted a FOI too given 7 years of shenanigans. So you see folks, you can take the fear project and destroy it with Facts!